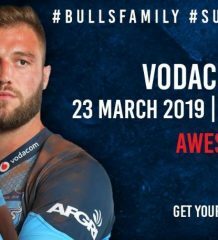 Vodacom Blue Bulls Coach, Pote Human, named an exciting squad for his 2018 Currie Cup campaign, with experienced loose forward, Hanro Liebenberg, named skipper and outside back, Johnny Kotze, the vice-captain. Liebenberg is no stranger to the captaincy role, having lead the Vodacom Blue Bulls in this capacity before, and is welcomed back after missing the 2017 tournament due to injury. The squad includes Springboks in Marnitz Boshoff and Jamba Ulenbo, while Blitzboks Heino Bezuidenhout and Stedman Gans were also named amongst the backs and former Blitzbok, Boom Prinsloo, amongst the loose forwards. New additions to the squad include some stand-outs from the recent SuperSport Rugby Challenge, like Earll Dowrie and Mornay Smit, while youngsters like Josh Aldermann and Reagan Oranje are promoted from the junior ranks. Adding to the new faces during the warmups are Carel du Plessis, Dan Kasende and Viktor Sekekete, three young men that will be included in the system on a trial. 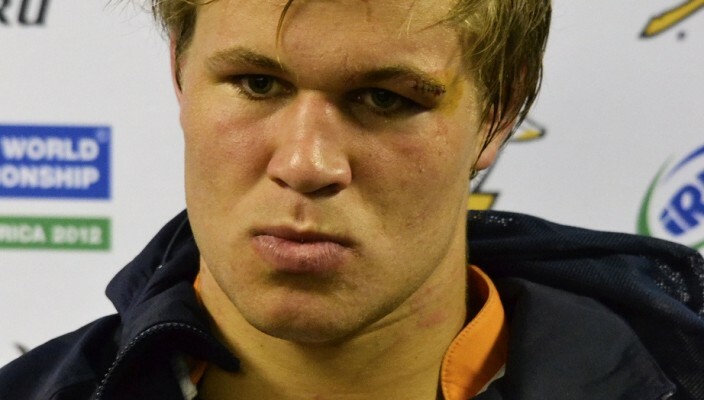 Toyota Cheetahs recruit, Paul Schoeman, is also in the squad. The flanker moved from Bloemfontein after the GUINNESS PRO 14 season. The men in blue will be without a number of senior players, seven at national duty with the Springboks, and four playing in Japan for the remainder of the year. The Springboks are RG Snyman, Trevor Nyakane, Marco van Staden, Jesse Kriel, Embrose Papier, Handré Pollard and Ivan van Zyl, with Jason Jenkins, Jannes Kirsten, Burger Odendaal and playing in Japan. The squad will also be missing Gerhard Steenekamp, Tim Agaba, Lizo Gqoboka, Roelof Smit, Nqoba Mxoli, Travis Ismaiel and Warrick Gelant, due to long term injuries. One of the main focuses of this Currie Cup campaign will be to ensure the system builds towards the 2019 Vodacom Super Rugby, while increasing our depth and junior player development. It will also be used to make sure that the overall ‘blue-print’ implemented by Executive Rugby, John Mitchell, is executed throughout all the teams, including juniors. Coach Pote Human will also be looking to expose a few of the u19s and u21s to the senior level. The squad is: Divan Rossouw, Earll Douwrie, Duncan Matthews, Jamba Ulengo, Xolisa Guma, Irvin Ali, JT Jackson, Heino Bezuidenhout, Franco Naude, Christopher Hollis, Stedman Gans, Jade Stighling, Johnny Kotze, Marnitz Boshoff, Manie Libbok, Boeta Hamman, Tony Jantjies, Garrick Matthews, Tinus de Beer, Andre Warner, Theo Maree, Josh Allderman, Raegan Oranje, Thembelani Bholi, Denzil Hill, Jano Venter, Abongile Nonkontwana, Hanro Liebenberg (c), Paul Schoeman, Nic de Jager, Ruan Steenkamp, Boom Prinsloo, Roelof Smit, Ryno Pieterse, Hendre Stassen, Ruben van Heerden, Aston Fortuin, Ruan Nortje, Eli Snyman, Matthys Basson, Frans van Wyk, Dayan van der Westhuizen, Conraad van Vuuren, Madot Mabokela, Mornay Smith, Jaco Visagie, Edgar Marutlulle, Johan Grobbelaar, Corniel Els, Jan-Henning Campher.